I have another Valentine's card for you today. This one is not at all "Spring-y". With all the cold weather and snow a lot of people are facing, I thought I could remind them that a little snuggle and a whole lot of love can make the coldest of days seem warm. 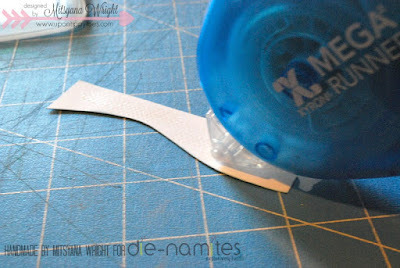 This super cute card is really quick and easy to make and uses minimal supplies... and the best thing only uses one die. 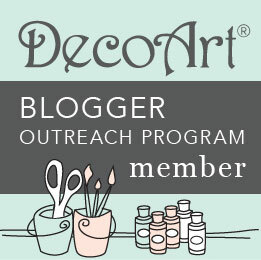 How awesome is that?!! This amazing die come with the trees as well as the owls... AWESOME!! And look how darling those little owls are too!! And what's a quick and easy card without a quick and easy background?? 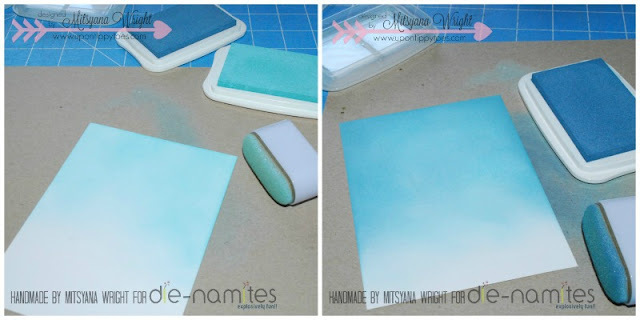 I simply used these sponge "sweepers" from Tsukineko to create my background on plain white cardstock. First I sponged on the Sea Breeze then the Aegean Blue... concentrating the color towards the top and fading towards the bottom. 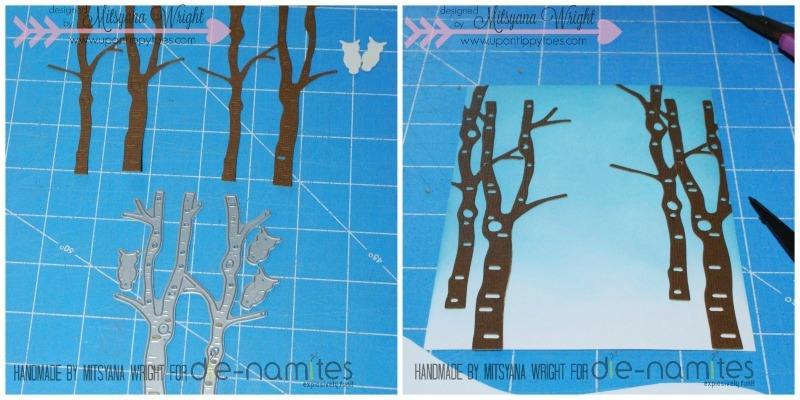 Then, I die cut 2 sets of tree out of brown cardstock and 2 little owls from white cardstock. 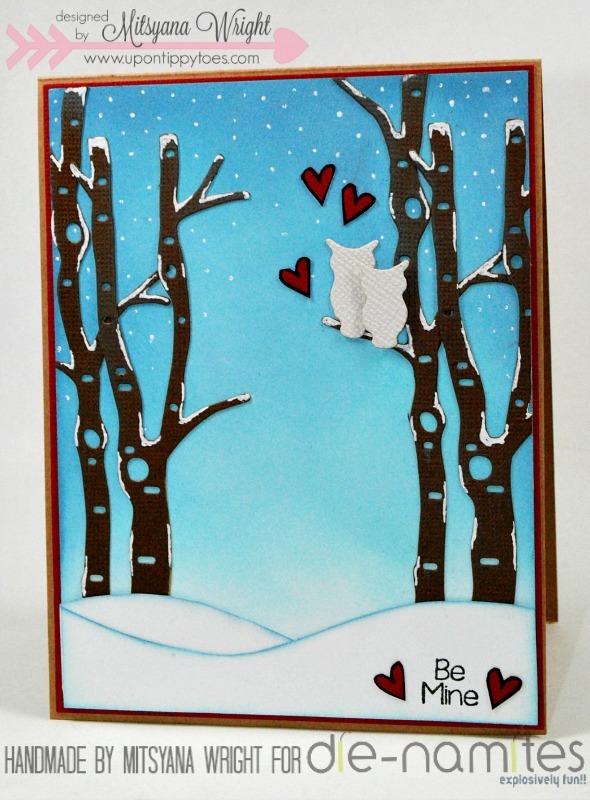 I cut apart the trees and move them around my card front till I was satisfied. Then I attached my owls onto a tree branch with foam adhesive. 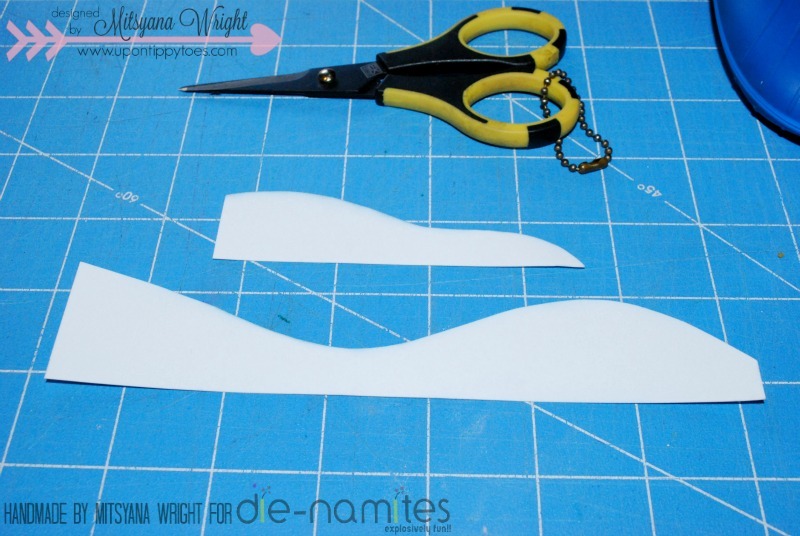 I created snowy hills by simply drawing wavy mounds onto white cardstock and then fussy cut them out with scissors and then shaded the edges with more Sea Breeze ink. 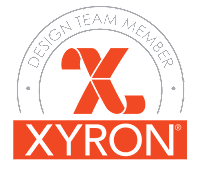 I used my Xyron Mega Runner to attach my hills to my card front. And then again attaching my card front to red card mat and then onto a craft cardstock base. 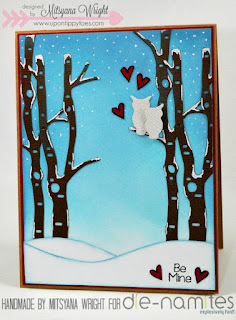 Then, I stamped my little sentiment from the Pink and Main Luv U set in VersaFine Onyx Black ink. And the little hearts were stamped the cut out around the owls and sentiment. 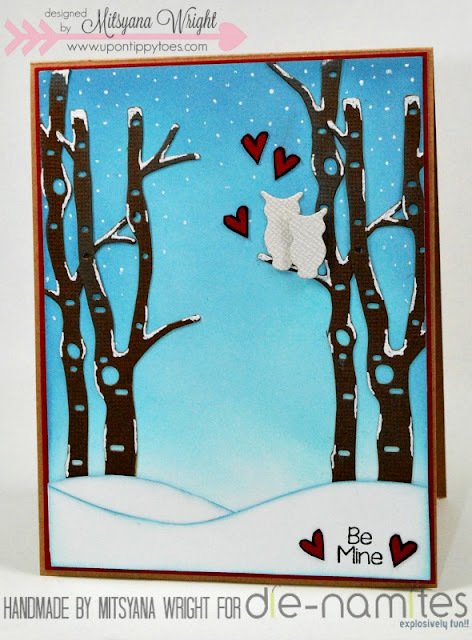 For a finishing touch, I used a white gel pen to draw/ color snow onto my trees.